All the Greasers. All of the Greasers. 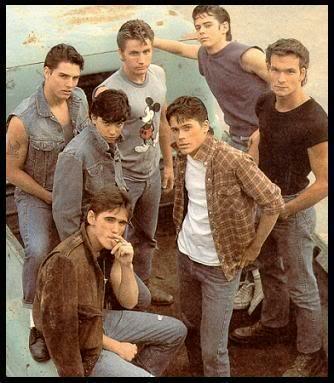 Wallpaper and background images in the The Outsiders club tagged: the outsiders ponyboy johnny sodapop dally darry two-bit steve. This The Outsiders photo might contain teken, poster, tekst, bord, and schoolbord. i love all of them!!! who wouldnt!! LOVE THEM ALL! !THEY ARE ALL HOT AND CUTE! !I WISH I COULD BE A GREASER! !